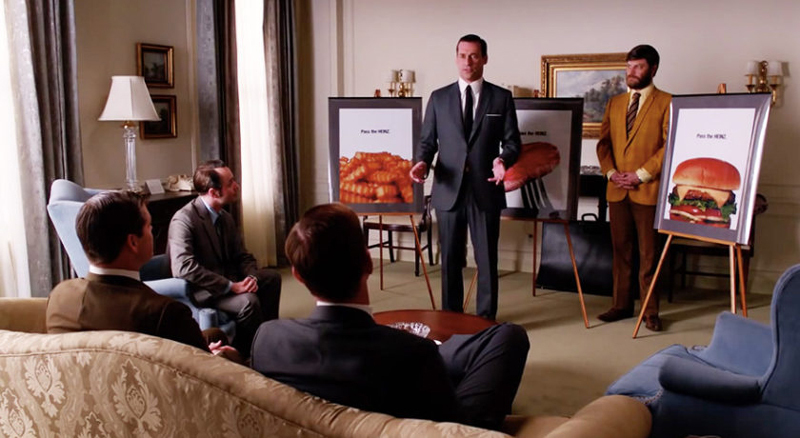 In a quite clever marketing stunt, Heinz just used the refused campaigns created by Don Draper in Mad Men. 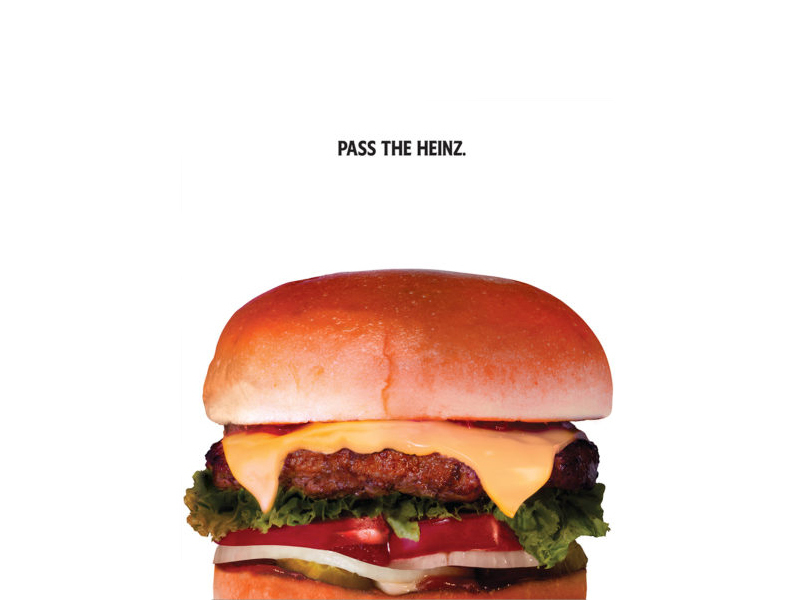 In the TV show, Draper presents a concept with minimalist visuals and fails to convince the Heinz team that the product can be sold without showing it. 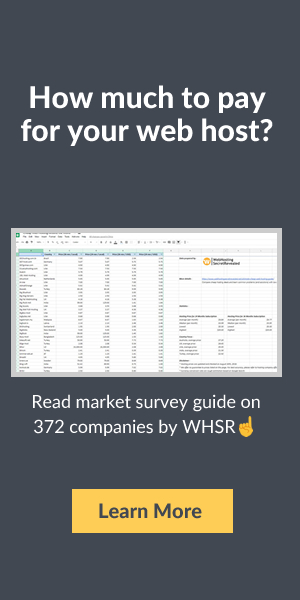 Now it seems to be obvious that you can sell a product by showing the customers that it’s missing, but it wasn’t so clear for the client (at least in the show). 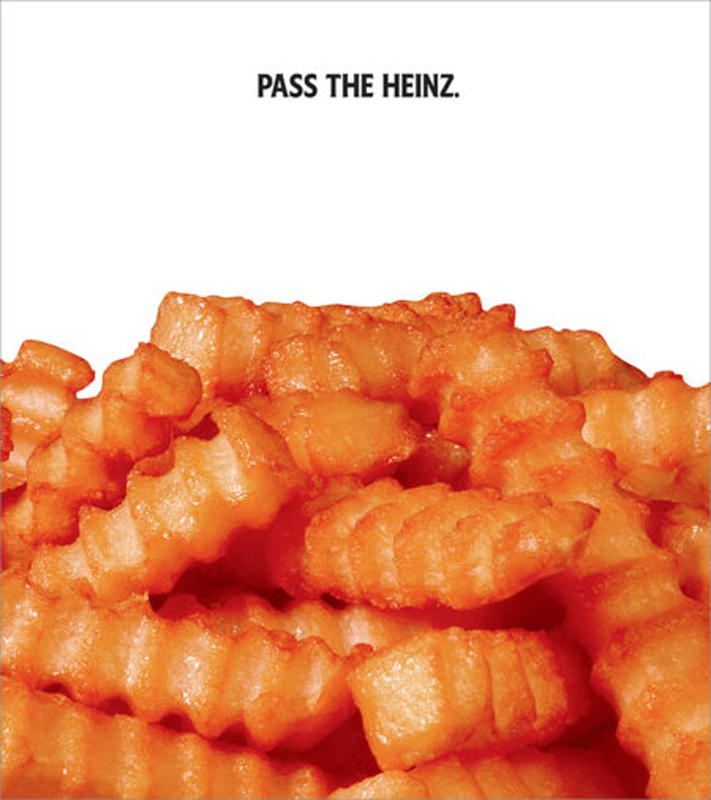 As you can see, the idea didn’t go through so quickly, at least not for the fictional Heinz marketing team. What happened though, is that through the TV show, the idea was pitched to millions of people. Just check the visuals for yourself. Every of the visuals display a product ready to be eaten, but missing an essential flavor: the sauce. 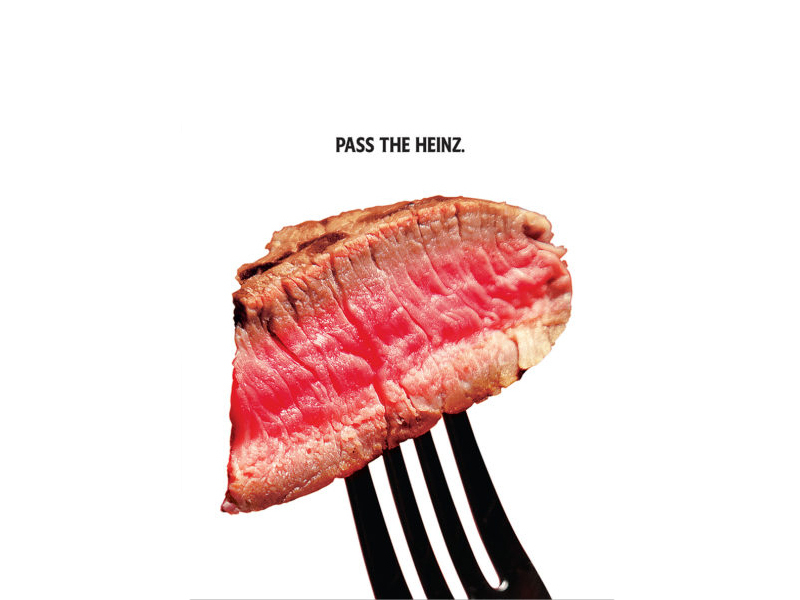 The slogan simply says pass the Heinz, which is clearly enough to understant what the advertising is about. 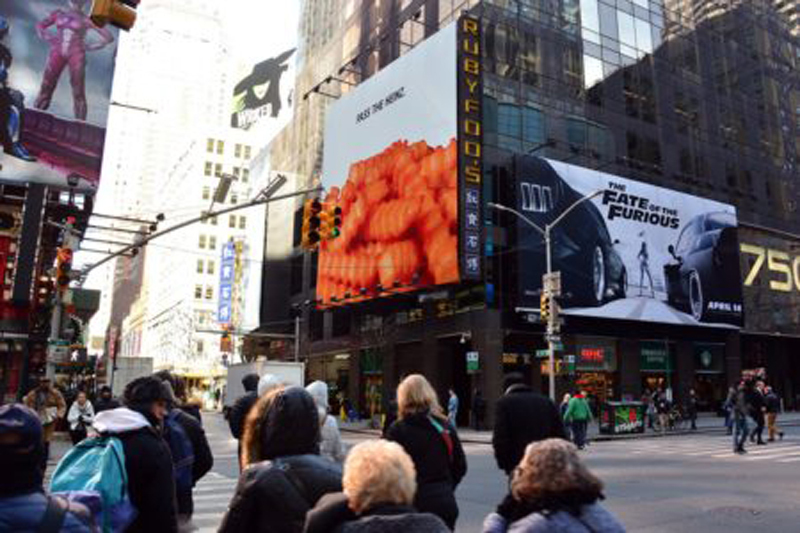 One of the billboard in New York city.